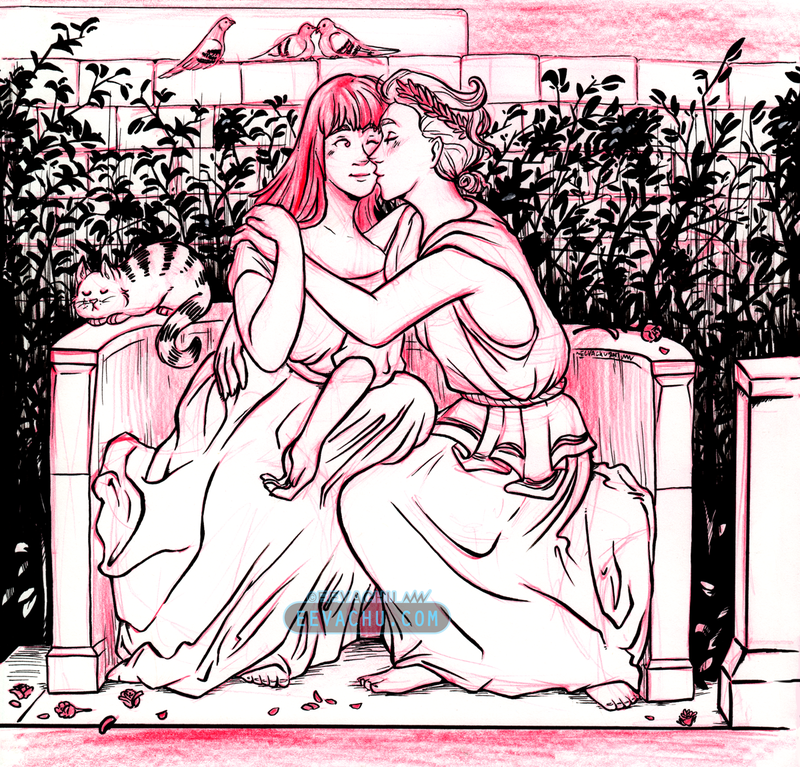 Proper scan of OTP inktober day 17: Roman/Greek AU. 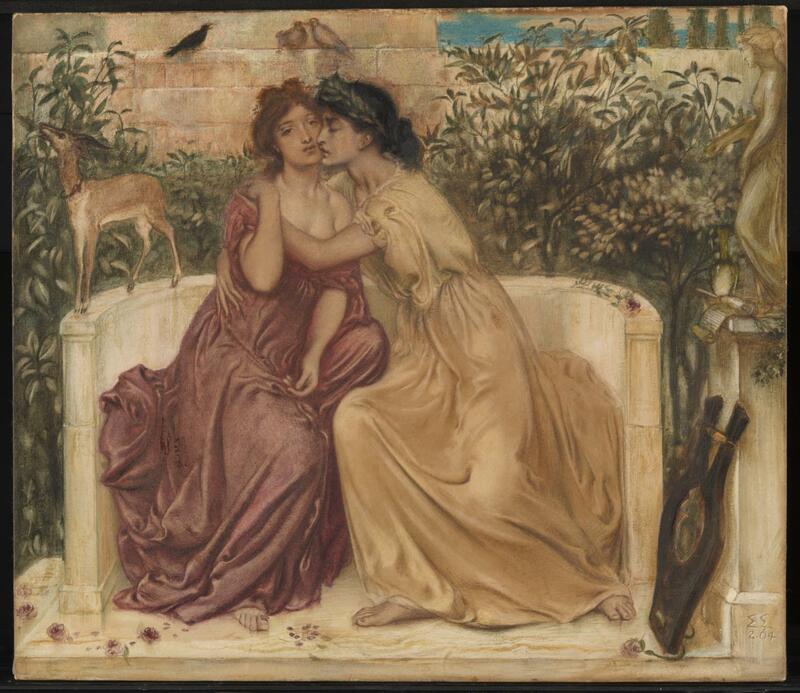 Based on the 1864 painting of Sappho and Erinna in the Garden of Mytilene by Simeon Solomon because I’m never gonna miss an opportunity to reference Sappho or queer artists. lol I changed it to a cat and a pigeon because New York. 2017. Staples card stock; Ticonderoga erasable pencil; Kuretake Fudegokochi; Pentel Slicci 04 pen; Sakura Pigma Sensei 10; Sakura Gelly Roll white gel pen; 8.5″ x 11″.